Free tennis string! Enter to win! You are here: Home / Announcements / This week only, win a free set of tennis string! 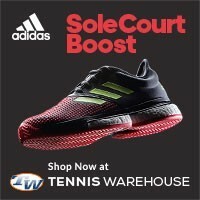 This week only, win a free set of tennis string! There comes a time in a tennis players career that they will need some new tennis string…that time is now. 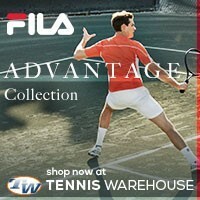 From today until Sunday, October 31, 2010, we will be giving away a free set of tennis strings!!!! That’s right, a FREE set of tennis strings. You choose what string and we’ll send it to you. Pretty simple. All you have you to do is leave a comment with the type of string you wish for and then we’ll select a winner on Sunday. It can be any kind of tennis string, Babolat, Head, Prince, Lux, Pacific, Gamma, etc. We’ll contact the winner for their contact details and all that good stuff. So go ahead, enter and see if you win!!! Don’t forget to tell your friends! Only one entry please! No purchases necessary, all you need to do is leave a comment with the string you wish for. We’ll even ship it internationally too! *****UPDATE****** This contest for a free set of tennis strings is officially closed! Thank you to all who entered, the winner is LK who has won a FREE set of Babolat VS Natural Touch 16g!!!! We will be having another contest similar to this one, in a few weeks. Babolat VS Touch 17 — THE shiznizzy: The only way to frag on the court. Hi, I would loveto have a set o Babolat Tonic+Feel natural gut tennis strings please. Thank you. Babolat VS Natural Touch 16g. We’ll be having monthly contests so if you don’t win this week be sure to check back often for other contests. 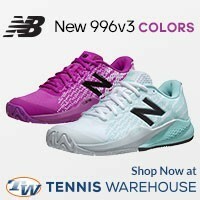 We might be giving away bags, shoes, strings, and maybe just maybe a new tennis racquet (maybe). 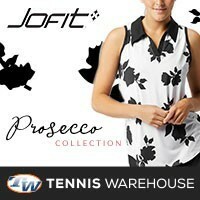 Don’t forget to share with your tennis buddies! This is an awesome contest, been following you guys a while. Solinco tour bite please, keep reading all the hype but very hard to get here in the UK! Any string in 15 gauge, tired of stringing often. I’ve heard a lot about these poly strings, but never really tried them. I hit with a Sensation/Big Banger hybrid for about 5 mins and thought it felt pretty good.